Seeking Administrative Assistant for rapidly growing auction and real estate company. Will work with various team members and departments. Offices in Chattanooga and Nashville with some travel necessary. Candidates should be familiar with Microsoft Office, able to answer phones, create reports, data entry, Adobe Creative Suite a +. Mon-Fri 8 – 5 with some Saturdays. Please e-mail resumé to info@SoldonCompass.com in pdf or doc format. A multi-state Auction & Real Estate company is seeking auction setup, staging and inventory data entry Team members for our Chattanooga, TN location. Chattanooga, TN – Compass Auctions & Real Estate is pleased to announce that the Auction Firm has been selected to host both the online and live auction of a one-off custom KTM 450 in cooperation with RedBull Media House to benefit the Kurt CaselliFoundation. This exclusive build of motocross history was completed by none other than the most prolific custom designer of our era, Roland Sands. The design was inspired by the original documentary “On Any Sunday” released in 1971. This motorcycle is a blend of motocross history with a 2015 KTM 450. This tribute to Kurt Caselli, his love for motocross and people will be debuted during the preview of “On Any Sunday – The Next Chapter” on October 22nd in Hollywood, California. This epic film has been produced in cooperation with RedBull Media House, Freeride Entertainment, and supported by KTM & Skullcandy. 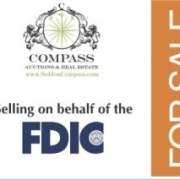 Compass Auctions & Real Estate is providing the platform for the online auction currently taking place. Steven Holt will auction off the custom bike live at the RedBull Day in the Dirt event on November 29th, 2014 at Glen Helen Raceway in California. 100% of the proceeds from the auction will be donated to The Kurt Caselli Foundation to help protect the lives of off-road riders. Register now to bid on this unparalleled piece of motocross history at SoldonCompass.com. Be sure to watch “On Any Sunday – The Next Chapter” coming to a theater near you, and join us November 29th, 2014 as we celebrate the life of Kurt Caselli and raise funds for this exceptional foundation. 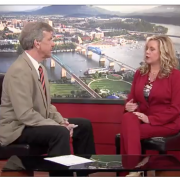 Compass Auctions & Real Estate hosts offices in both Chattanooga & Nashville, Tennessee. A full service auction & real estate firm, specializing in Live and Online auctions events featuring industrial – investment recovery auctions, real estate, government, municipal, farm & construction equipment, charity events & more. Where has the Compass Auctioneers & Team been in the last few days! Compass provides top level customer service and auction strategy, planning, staging, and marketing to multiple industries and individuals. Let Compass field the calls, do the showing, and answer the emails, and manage the buyers. 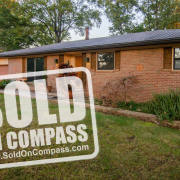 Compass Auctions & Real Estate provides solutions and professionals to fit your specific needs. Contact a Compass Team Member to find out how our company can assist you. 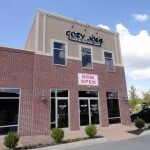 Nashville, TN – Compass Auctions & Real Estate, LLC ( www . 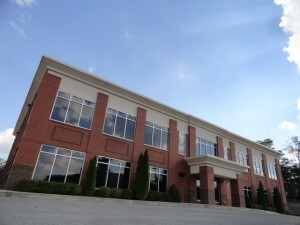 SoldonCompass .com ) is pleased to announce the Federal Deposit Insurance Corporation (FDIC) has awarded the company the listing of 26 properties across the state of Tennessee totaling nearly $30 Million. Compass Auctions & Real Estate, headquartered in Chattanooga, TN, has assigned Justin Ochs, Principal Broker and Auctioneer of the Nashville Division as Lead Project Manager. Justin’s work ethic, customer service skills, professionalism and expertise in contract negotiation are highly sought after in the traditional market. Ochs worked closely with associate T. Kyle Swicegood, CCIM of the Swicegood Group, LLC in North Carolina who has a proven track record in handling FDIC assets. There is a large variation in types of properties being offered by theFDIC currently. 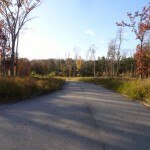 The properties range from residentialsubdivision tracts, to office buildings, warehouses, retail strip centers, and even mountain cabins. 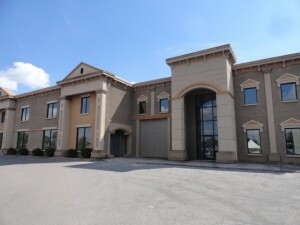 Locations vary as well, from as far west as Dresden to as far east as Greeneville with several properties located in and around Nashville and Knoxville. It’s very easy for a valve meant for a TVA power plant to have a career in an oil refinery or a paper mill instead. Don Williams, co-owner of Mobile, Ala.-based Industrial Valve, said that’s why his company bought about $90,000 worth of valves at a recent TVA auction. “Valves are a very general piece of equipment and can cross industries very easily,” he said. And that’s why he plans to go back to Hartsville, Tenn., when TVA holds two more auctions there Oct. 22 and Nov. 19, both at 9 a.m. CST. The Tennessee Valley Authority is liquidating about $30 million in surplus materials and equipment through three auctions, the first of which was held Sept. 24. Chattanooga-based Compass Auctions is handling the auctions, which are held at TVA’s warehouses at 488 J.D. Hood Lane in Hartsville, which is northeast of Nashville. About 22,000 lots of inventory will be on sale at the October and November auctions. TVA spokesman Scott Brooks said this means many more than 22,000 items, though. “One lot might be 500 bolts,” he said. There are five warehouse buildings full of industrial equipment and materials to be auctioned, said Paige Holt, president of Compass Auctions. Inventory includes a wide range of surplus equipment, road trucks, trailers, heavy equipment, forklifts, Mack trucks, electrical equipment, transformers, valves, pumps, hydraulic cylinders and other items. The Hartsville facility is on the site of a nuclear plant that TVA began building in the 1970s but then canceled construction in the mid-1980s. Hartsville is a major holding facility for surplus inventory from all over TVA’s seven-state service area, Brooks said. The federal government-owned utility provides electricity for business customers and local power companies that serve some 9 million people in parts of seven states. TVA’s Investment Recovery division, based in Chattanooga, keeps track of the surplus inventory and tries to sell it and get the best return for TVA, Brooks said. These items are things that TVA bought but did not use. They might be materials and equipment left over from a project at a TVA site or just a case of not needing all items that were ordered. “In most cases, TVA will try to sell it back to where we bought it, but if we can’t, we will look to see if we can reuse it in some way,” Brooks said. If a use can’t be found, the item is declared surplus and sent to a holding center for auction. Although TVA has instituted several cost-cutting initiatives this year, the auction is not part of that, Brooks said. TVA holds auctions from time to time as it accumulates surplus inventory, he said. “We just decided this was a good time,” he said. Holt said her company has worked with TVA on auctions before. In May, Compass auctioned surplus inventory from a TVA project to replace steam generators at its Sequoyah Nuclear Plant. The inventory there ranged from radiation monitoring equipment to fire extinguishers, welding equipment, hand tools, sheet metal and other items. The TVA auctions draw an assortment of buyers, Holt said. “We will have everything from industrial surplus companies to scrap and metal yard companies, power and energy companies, construction companies,” she said. The Sequoyah auction drew about 640 people to the site and the September Hartsville auction drew about 400, Holt said. She expects about 400 people at the next two Hartsville auctions. People are able to take part in the auctions either in person or online through the company’s website, Holt said. TVA’s auctions not only help her company and the buyers, but also allow TVA to get some money back to help keep electric rates lower, she said. Williams said his company makes good use of auctions such as those held by TVA. Industrial Valve, which has operations in Alabama, Louisiana, Indiana and Cleveland, Tenn., provides various valve-related products and services, but a good bit of its focus is on surplus valves. The company markets these as “better than new” valves that have never been used but which it sells at a discount price and with a warranty. It also touts the quick availability of the valves compared with the time it can take a customer to order a new valve. The valves he buys at auction from TVA will pass from his company to many others, Williams said. 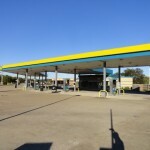 “We have a clientele that includes power companies throughout the Southeast, like Entergy and Southern Company, but we also do a lot of business with refineries such as Chevron, and we do paper mills,” he said. Compass Auctions & Real Estate has been selected to auction over $30 million of TVA’s nuclear and coal-fired plant surplus inventory from multiple locations throughout the Southeast. “We are humbled at the opportunity and find it refreshing to conduct business with an organization whose focus is to provide superior service to its clients all over the Southeastern United States,” commented Paige Holt, president of Compass Auctions & Real Estate. 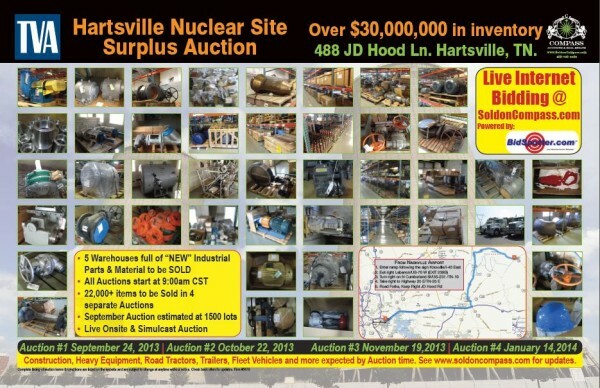 Over 22,000 lots of Coal Fire and Nuclear Power Plant replacement parts inventory will be sold at public auction from the TVA warehouses located in Hartsville, Tn. The inventory consists of new, crated and unused electrical equipment, transformers, valves, pumps, cylinders, motors, Mack trucks, forklifts, road tractors and much more. 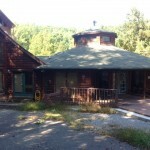 An extensive list of items to be sold can be viewed at www.soldoncompass.com. The inventory will be sold in four separate auctions taking place at the Hartsville location on Sept. 24, Oct. 22, Nov. 19 and Jan. 14. The auctions will be held live with live internet bidding available to allow buyers from around the world to participate in real time. 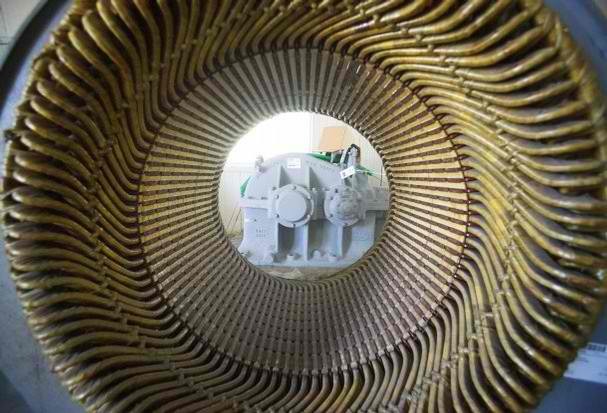 “This will be an excellent opportunity for both domestic and international buyers to purchase nuclear, coal, gas and water plant replacement parts that have never been used,” stated Steven Holt, vice president of Compass.